Pairing is unnecessary so data transfer can begin right away. *1 A&D no longer produces the AD-8121B compact printer and now offers the AD-8127 instead. 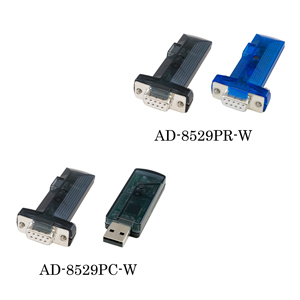 *2 Please contact your local A&D representative to find out whether the AD-8529PC/PR-W is certified for compliance with Bluetooth communication laws in your country. For communication between a balance/scale and a PC. Plug and play with Windows 10. (For earlier versions of Windows, install the driver software in the provided CD-ROM or downloaded from here). For communication between a balance/scale and an A&D printer. No AC adapter is required when used with the AD-8127. *3 Please refer to the connection compatibility table.